The West African Football Union (Wafu) says its regional tournament will make a return at the end of November. Amos Adamu, president of Wafu, says twelve countries from the region will participate in a youth event scheduled for 30 November to 14 December. There has been no Wafu Cup since 2004 because of political infighting. But Adamu, who took over the leadership of Wafu in April, is confident the event will attract interest. "This is the beginning of good things to come," Adamu, an executive member of Fifa and Caf, told BBC Sport. "Youths from our region need a proper developmental stage to thrive and that is what we want to provide them. "West African countries have dominated youth tournaments in Africa before and we want to continue with that trend. "The next phase will be the senior sides of the region but first we want to use this youth tourney to restore the battered pride of the Wafu Cup." The event will take place in Delta State in southern Nigeria. The hosts will be joined by under-20 sides from Ivory Coast, Ghana, Togo, Gambia, Benin Republic, Niger, Senegal, Cape Verde, Sierra Leone, Guinea and Liberia. 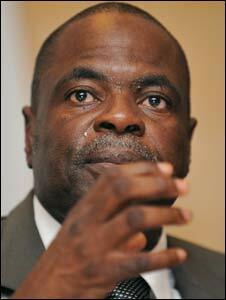 A protracted leadership battle between Adamu and the Ivorian Jacques Anouma has blighted the troubled body. But the Confederation of African Football intervened and Adamu took over from Anouma as Wafu president earlier this year.